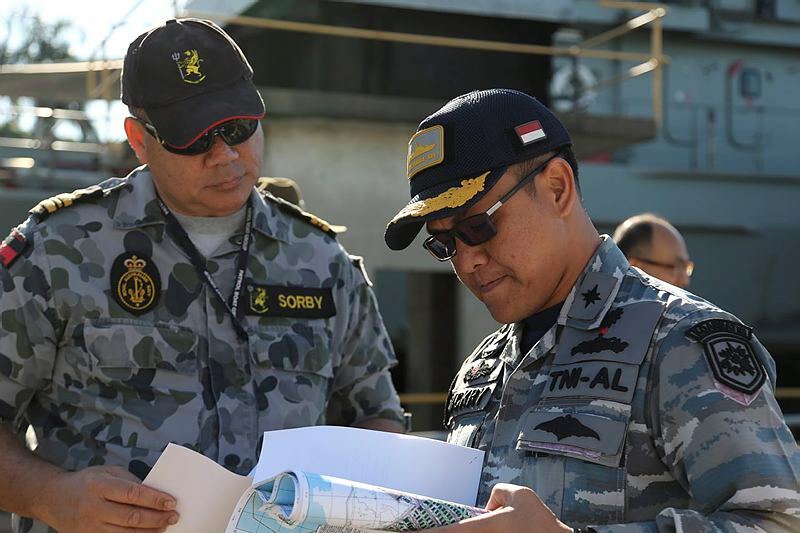 Despite recent diplomatic tensions, two Indonesian navy vessels have docked in Darwin for annual Australian–Indonesian joint maritime exercises . Also known as AUSINDO CORPAT, the drills are designed to improve coordinated maritime security between the two nations’ militaries, and aims to target illegal activities that may take place in the two countries’ maritime zones. Vietnamese newspapers reported  last week that Chinese oil rig HD-981—the cause of last year’s conflict between China and Vietnam—has been redeployed off the coast of Hainan Island, into the disputed EEZs of the two countries. For a deeper look at the issue and its potential impact on the South China Sea tensions, have a look at The Diplomat’s piece here . Also in the region, India’s ‘Look East ’ policy saw the Indian navy’s Eastern Fleet enter Thai and Cambodian waters last week. While visiting Thailand, INS Satpura and INS Shakti  will be ‘fostering interoperability’ between the two nations, while the seamen of INS Ranvir and INS Kamorta will conduct training and medical exercises with the Cambodian navy. And finally, check out some images of the final voyage of Australia’s oldest serving navy vessel, HMAS Tobruk, here . HMAS Tobruk has been in service since 1981, and most recently operated in PACIFIC ASSIST 2015 following Cyclone Pam’s damage to Vanuatu earlier this year. She will be decommissioned on 31 July. The development of new capabilities such as mobile weapons systems, advanced air and missile defences and electronic warfare systems has challenged the efficacy of US precision strike capability. Mark Gunzinger and Bryan Clark from the Center for Strategic and Budgetary Assessments discuss this topical issue in their new report , ‘Sustaining America’s Precision Strike Advantage’. They argue that the US has too many direct attack short-range missiles and not enough affordable long-range missiles. To address the capability gap, they suggest short-term tactics such as ‘tunnelling ’—depleting enemy defences with decoys, jammers and cheap bombs—and long-term strategies such as developing new intermediate- to long-range weapons. Got a problem with your drone? Then the US-run counter-drone testfest Black Dart  is the place for you. The annual event, started by the Defense Intelligence Agency in 2002, has been running secretly for more than a decade, and was only made public in 2014. Next month, they’ll begin testing 55 systems on their ability to detect and defeat large and micro drones. But don’t get too excited… one thing the program has shown is that there’s no one system that can beat every type of drone. Finally, here’s something to look forward to. Instead of buying a top-of-the-line SUV for your next set of wheels, you could be buying a hoverbike ! The British firm Malloy Aeronautics is working with the US Army to deliver its first hoverbikes, before releasing a commercial range. You can watch the hover technology here  (at 0:14 and 1:30). Alternatively, you can opt for a jetpack  with its own built-in emergency parachute. In a show of strength against Russian aggression, the US has declared that it’s pre-positioning tanks, artillery, and other military equipment  in eastern and central Europe. US Defense Secretary, Ash Carter, announced the plans last week to reassure NATO allies. Russia responded  by announcing plans to increase its number of S-400 Triumf and Pantsir-S air defence systems along its NATO borders. This weekend the world was rocked with a trio of terror attacks in France, Tunisia and Kuwait . A fourth less reported attack occurred in southern Somalia, where an al-Shabaab gunman reportedly killed at least 30  in an attack on an African Union military base. The future of specialists and advisors access to the battlefield could be changing, with video chat through tablets and smartphones employed for real-time communication with troops. The US military is already testing the technology in Afghanistan . If successful, this new form of communication could vastly improve troops’ on-the-spot access to specialists and advisors from around the world. This could have widespread effects from creating a more hands-on approach for senior military advisors, to specialised medical knowledge being live fed to emergency situations as well as constant access to IED specialists.